From beginner to pro, competitive to recreational, table tennis is an social sport suitable for all ages and abilities. To win (and hopefully build up a first-class victory dance), you need to score 11 points before your opponent – either by getting them to miss the ball, hit the ball but miss the table, or allow it to bounce more than once on their side of the net. Unsurprisingly, it’s a lot like tennis – on a table. 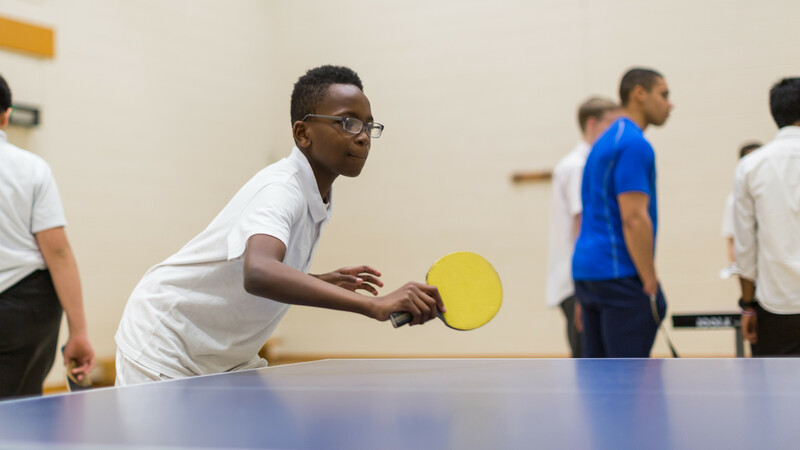 You can hire a table at leisure centres or join an organised session, but if you’re unable to make it to your local gym or leisure centre, transform any table into a table tennis table, have fun and reap the benefits of improved coordination. Normal sportswear is suitable for both indoor and outdoor table tennis. Organisers may specify what you wear and usually provide all necessary equipment. If you choose to play at your leisure, you will need a table, bats, a net and a ball which can be found in sport shops. If table tennis interests you and you would like to find out more, visit Table Tennis England to learn key terms and watch training videos.